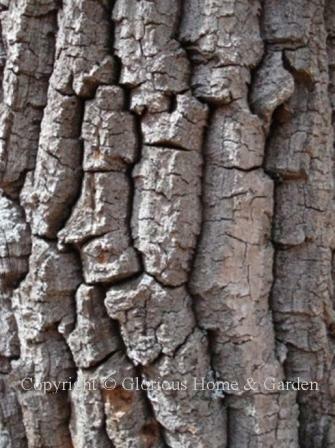 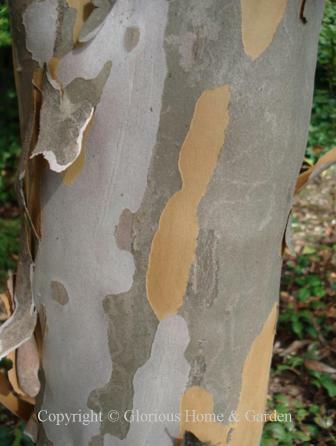 The list of trees (and some shrubs) with interesting bark for winter interest continues. 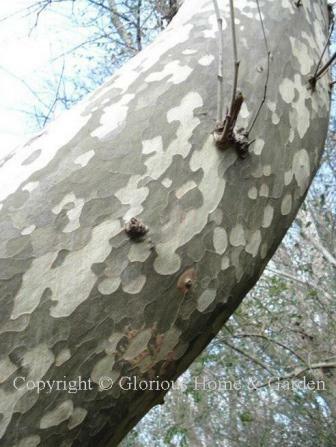 Platanus x acerifolia, London planetree, Zones 5-8. 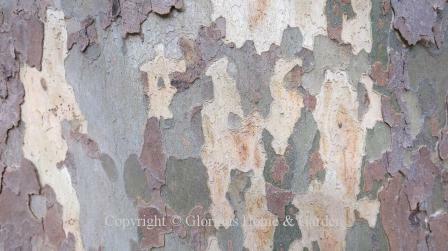 A cross between the American and Oriental species of planetrees, this one has gorgeous multi-colored bark. 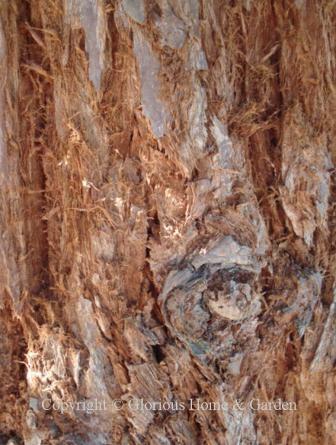 Sequoia sempervirens, redwood--fshaggy, fibrous hide on mature trees. 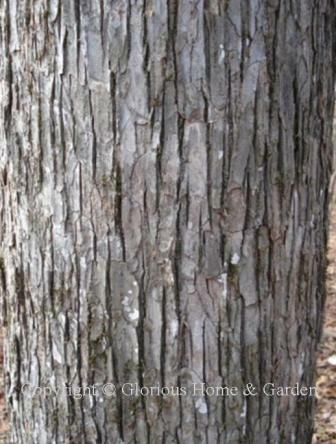 Of course, this can be a gigantic tree in the wild and needs plenty of room, so for most of us it will be admired in arboreta or national parks, though there are a few dwarf cultivars out there. 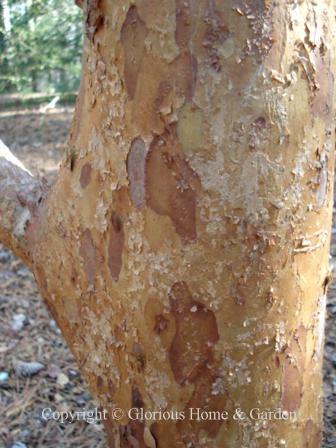 Stewartia koreana, Korean stewartia—reddish-brown to gray flaking bark. 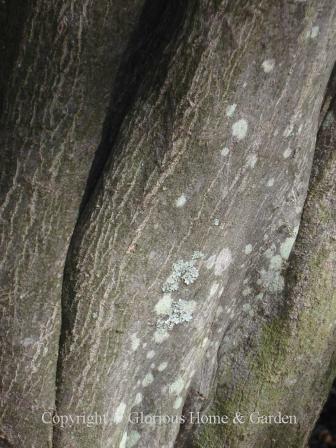 This beautiful one at Asticou Azalea Garden, Mt. 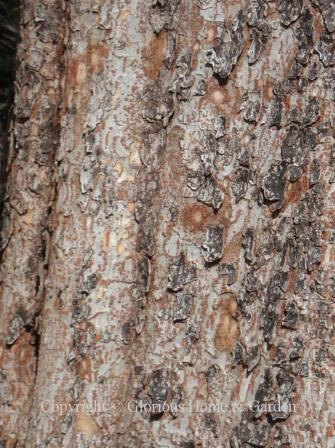 Desert Island, Maine. 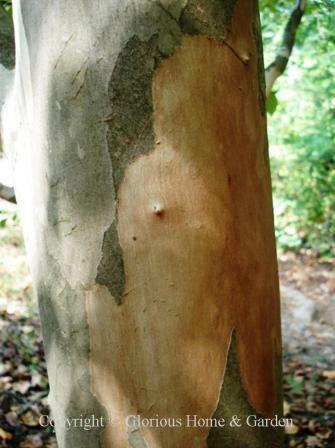 Stewartia serrata, sawtooth stewartia, Zones 6-9. 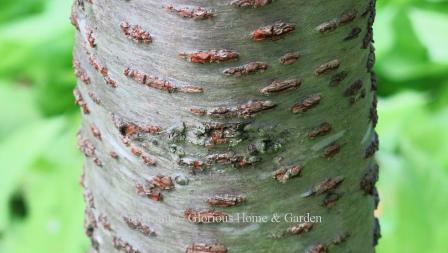 Stewartias have some of the handsomest bark which makes them outstanding specimens for winter interest. 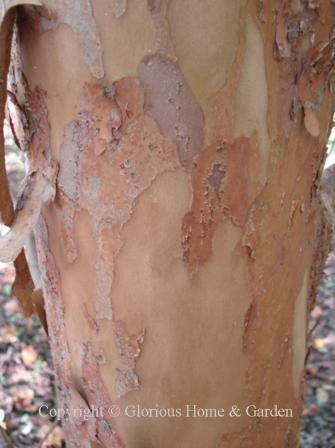 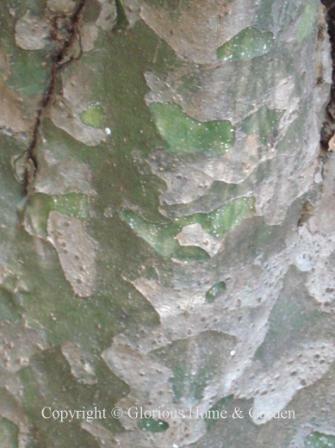 S. serrata's reddish bark flakes to reveal grays and lighter tan bark beneath. 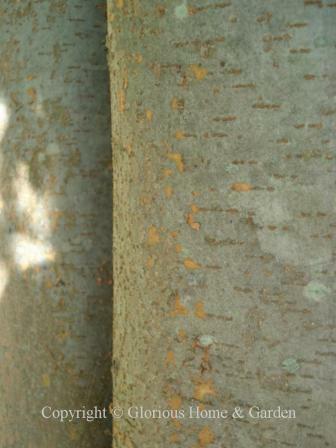 Styrax japonicus, Japanese snowbell--dark gray-brown bark with irregular breaks with age on muscular sinuous-shaped trunks. 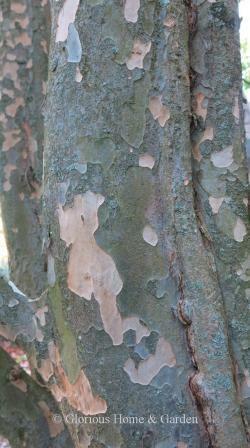 Zelkova carpinifolia, Caucasian zelkova--smooth gray bark that flakes off to reveal orange underneath.